Lindy Jack Curtis, 90, of Huntington, WV passed away Tuesday, February 5, 2019 at home. 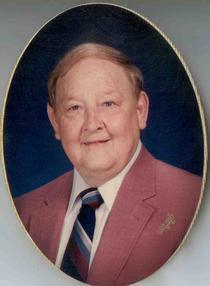 He was born February 29, 1928 in Proctorville, Ohio son of the late Homer and Helen Black Curtis. In addition to his parents, he was preceded in death by his wife Anna Marie Curtis of 58 years; two brothers Billy and Bobby Curtis; and one sister Wanda June Curtis. He retired from INCO Alloys where he patented several different alloys. He was an U.S. Army Veteran and member of American Legion Huntington #16. He was a member of Madison Avenue Christian Church and was very active with Huntington Area Habitat with helping to build numerous houses and received the Golden Crow Bar award. He was also an Elder Emeritus with the Disciples of Christ Christian Church. He graduated from Chesapeake High School where he played football and basketball. He attended MU and EKU on a football scholarship. He is survived by two daughters Linda (Mark) Burt of Garland, TX and Patricia (Robert) Bruce of Huntington, WV; two grandchildren John, (Brittany) Bruce, IV of Huntington, WV and Lindsay (Alex) Conley of Milton, WV; two sisters-in-law Estella Curtis of Corpus Christi, TX and Betty Curtis of Georgia; and several nieces and nephews. Funeral service will be conducted 1 p.m. Saturday, February 9, 2019 at Hall Funeral Home and Crematory, Proctorville, Ohio with Dr. George Gates officiating. Burial will follow in Rome Cemetery, Proctorville, Ohio. Proctorville V.F.W. Post 6878 will conduct military graveside rites. Visitation will be held 6 to 8 p.m. Friday, February 8, 2019 at the funeral home. Condolences may be expressed to the family at www.ehallfuneralhome.com.